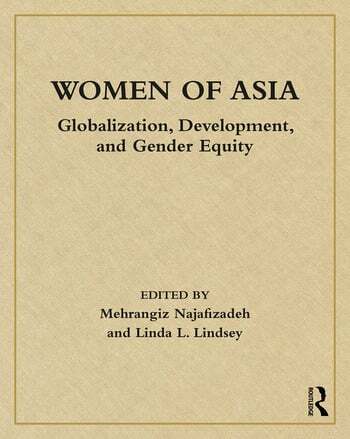 With thirty-two original chapters reflecting cutting edge content throughout developed and developing Asia, Women of Asia: Globalization, Development, and Gender Equity is a comprehensive anthology that contributes significantly to understanding globalization’s transformative process and the resulting detrimental and beneficial consequences for women in the four major geographic regions of Asia—East Asia, Southeast Asia, South Asia, and Eurasia/Central Asia—as it gives "voice" to women and provides innovative ways through which salient understudied issues pertaining to Asian women’s situation are brought to the forefront. Mehrangiz Najafizadeh is a faculty member in the Department of Sociology at the University of Kansas where she is also an affiliated faculty in the Center for Russian, East European, and Eurasian Studies and in the Center for Global and International Studies. Linda L. Lindsey is Senior Lecturer in American Culture Studies and in the Department of Sociology at Washington University in St. Louis and Professor Emeritus of Sociology at Maryville University of St. Louis.